In keeping with tradition, International Jock has announced their Halloween special. With every order you purchase, you will receive a FREE Adams jock. There's no minimum order and no limit to how many orders you can place. 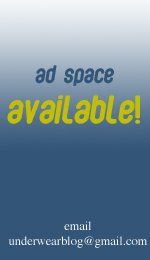 But the promo is limited to the supplies on hand, so you must act fast! The Adams jock, is a great example of a classic American locker room jock, that is becoming so hard to find these days. In fact, these Adams jocks are no longer being made. So get on it now! In celebration of his team's win against the Boston Red Sox, hunky Astros player Joshua Reddick stripped down to his American flag briefs in the locker room immediately following the game. And it being the information age, the cameras were there to film for your enjoyment. 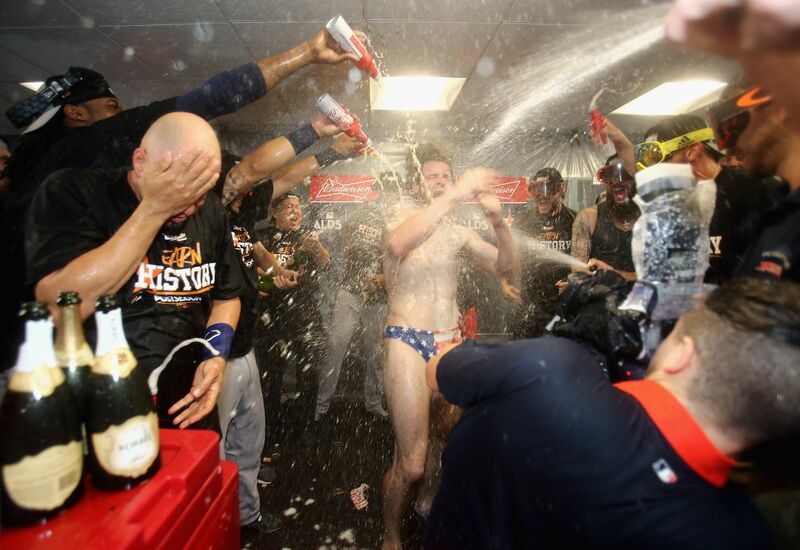 Reddick's teammates doused him in bottles of champagne, making for a fun, sticky mess for your enjoyment. Halloween can be a great occasion to wear and show off cute underwear, especially in the gay community. Underwear as costume components is a HUGE trend and very popular, especially for club costume parties. But today we're actually talking about Halloween-themed underwear, because who doesn't enjoy a cute pair of themed undies? This year Andrew Christian is selling adorable ghost emblazoned underwear in briefs and jocks. They feature a cute emoji-style ghost design on a blue background. Andrew Christian also has a lot of pairs on offer that would be a great addition to your Halloween costume, like the shiny silver LUXE collection or the police and seaman-themed pairs. And from now until October 12, get 30% off your entire purchase at Andrew Christian using code 30CDS (be sure to click our link so we get credit). If you're looking for a more cheeky take on Halloween underwear, why not look Down Under? aussieBum is also offering a limited edition Halloween collection again this year. Like AC, this year's theme at aB is ghosts. aussieBum's collection comes in 3 colors and two styles for a total of 6 different pairs. Our friends at Garçon Model have just launched a new, limited edition collection entitled 'Galaxy'. The collection takes its inspiration from, well, our galaxy. The collection features bold colorful prints on a black backdrop, and is reminiscent of all the stunning space photography out there. There are two new prints with space-inspired names 'comet' and 'galaxy'. The collection comes in briefs, trunks, and jocks and is available for a limited time. Check it out!